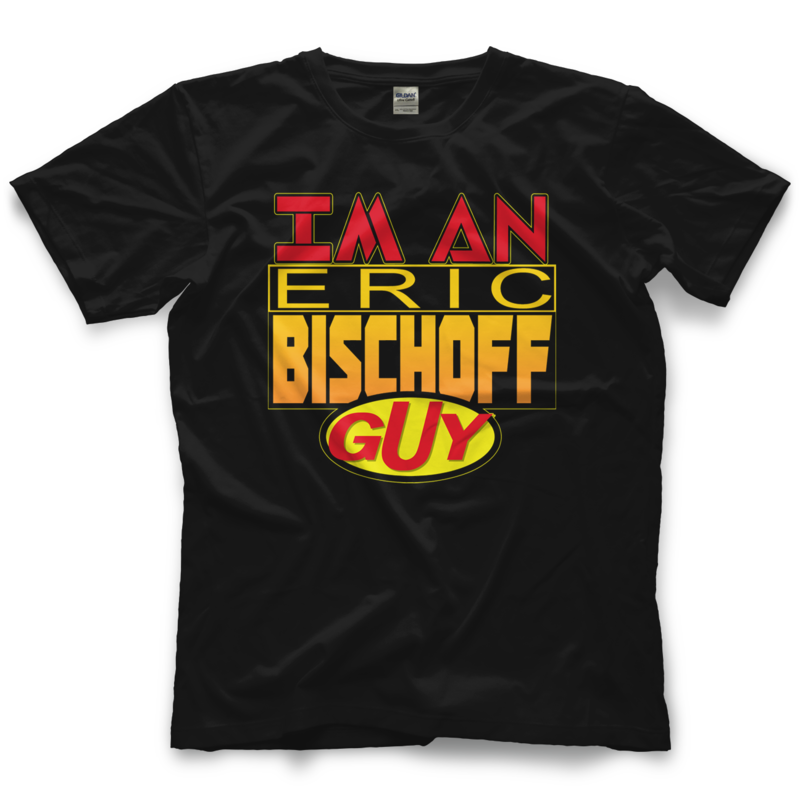 Someone Bought This: "I'm An Eric Bischoff Guy" WCW Monday Nitro parody shirt - WrestleCrap - The Very Worst of Pro Wrestling! Ok let’s say you’re a fan of the “Eric Bischoff on Wrestling” podcast. Would you really want a shirt that is a knock-off of a Paul Heymen shirt from six years ago? Also this shirt appears to homage to the WCW Nitro logo designed by someone who has clearly never actually seen the WCW Nitro logo. 3 Responses to "Someone Bought This: “I’m An Eric Bischoff Guy” WCW Monday Nitro parody shirt"
Maybe it’s a reference to the famous model Iman that was married to David Bowie and now she wants a piece of the Bisch. The Guy looks like it is in Seinfeld font, not that there’s anything wrong with that. Cornette’s ripoff of the Heyman Guy shirt was way better. Does Russo make a “I’m a Vince Russo guy, bro” shirt?